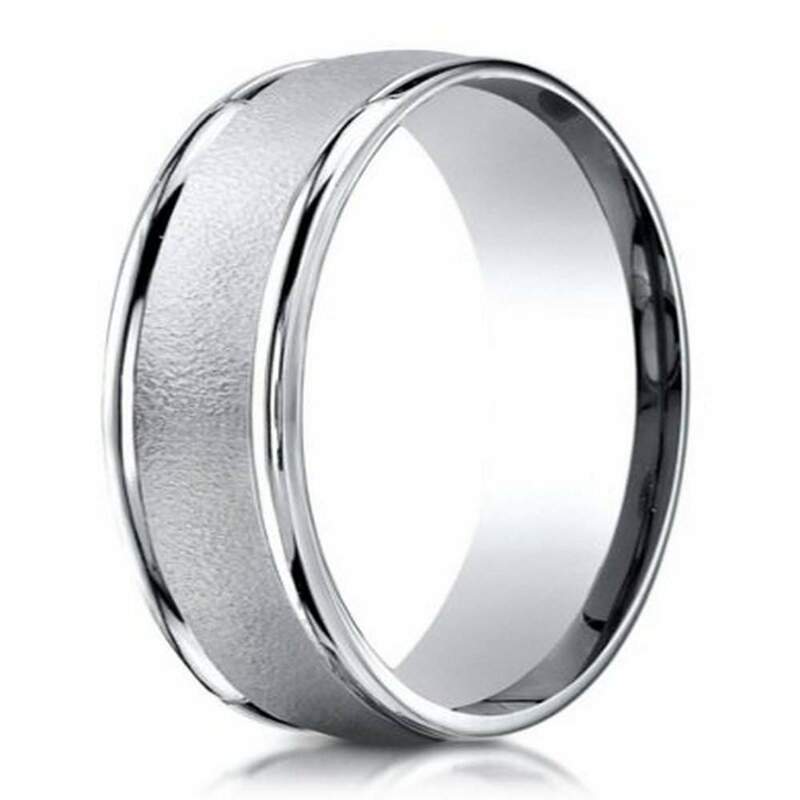 The combination of a wired finish and rare precious white metal palladium makes this designer ring an obvious choice for the man who requires something a little more unusual. Offering a refreshing twist on the classic wedding band, this 6mm comfort fit ring features a textured sand-blasted center juxtaposed with polished rounded edges. Comfort fit rings usually measure 1/2 size smaller due to the additional metal inside the ring. We recommend having your finger measured for a comfort fit ring at your local jewelry store.